Stunning home with Lake views ! 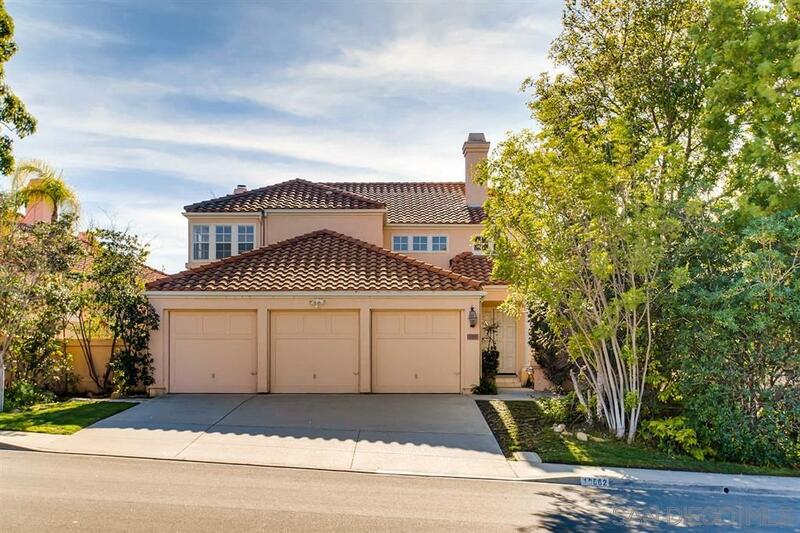 Superb location in the highly sought after community of Scripps Ranch. Located on a quiet street w/ spectacular views from the Master Bedroom and Backyard. This home has been lovingly maintained and prime to let your creativity flow. Step inside and be greeted by dramatic Vaulted ceilings. Spacious floor plan for entertaining. Two grand Fireplaces for ambiance. Plenty of storage in the 3 car Garage. Central AC. Laundry Room. Excellent Schools. No HOA. This is a must see !, This amazing lot sits elevated above the homes below. Entertain easily with the open concept Kitchen that flows into the Living Room and cozy Fireplace. A wet bar is ready to be used for those special occasions or after a long day. Conveniently located downstairs is a full Bedroom with Shower and Bathtub. Use the Bedroom as an Office or Guest Room. The Master Bedroom Suite has doors that lead out to a private Balcony with views of the Lake. Included are spacious closets with Dual vanities and a large tub to relax in. Don't miss out on this view home !